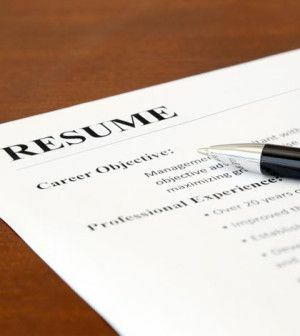 Do you know what your resume says about you? There is a wealth of information contained in that document–aside from your skills and experience– much of which you may not even be aware of. Experts say that a recruiter will scan you resume for about six seconds before deciding whether or not to give you serious consideration, so it’s important to know what they will come to know about you at that first glance. Spelling and formatting. Your resume should use consistent formatting throughout and not contain any spelling errors. In many aspects of life it’s okay to be imperfect; your resume is not one of them. If you don’t take the time to be neat, organized and precise with this very important two-page document, recruiters may judge you as being a careless person who doesn’t pay attention to detail. Email address. If you have an email address that’s anything other than a standard variation of your name, you may be telling too much about yourself. Email addresses that reference lifestyles (harleygirl@…, beerlover@…) tell the hiring authority that projecting a professional image is not of great concern to you. Hobbies and Interests. There is no reason to add any hobbies or interests to your resume unless they directly apply to the job you’re seeking. For example, if you’re seeking a sales job with a ski equipment manufacturer and you’re an avid skier, you’ll want to include that information. Avoid adding any information about your activities that will disclose a protected status like sexual orientation or religion, for example. You don’t want your resume to say anything that can cause someone to make assumptions about you. Length of resume. Your resume should never exceed two pages; remember, the person hiring will only spend about six seconds to review it, so you want to be as concise as possible. A brief resume that includes only the most relevant information shows a couple different things about you: First, that you’re able to separate the important facts from the fluff, and second, that you have the ability to edit effectively. Age. It’s fairly easy for a recruiter to figure out how old you are by looking at your education and experience history. If you would prefer not to broadcast this information about yourself, leave out the dates you graduated from school or completed other formal training. Your resume can speak volumes beyond that which you intend to convey. The best strategy for getting the interview is to give the recruiter or hiring manager enough information to peak their interest, but not so much that they have a reason to disqualify you. Be sure that your presentation, formatting, email address and other information portray you as a knowledgeable candidate with appropriate professional boundaries. If you’d like more information related to your job search strategy, please contact us.